The research of Bruno Figueiredo, BIM A+3 course coordinator, was featured in the 90 Seconds of Science, from Antena 1 (Portugal). 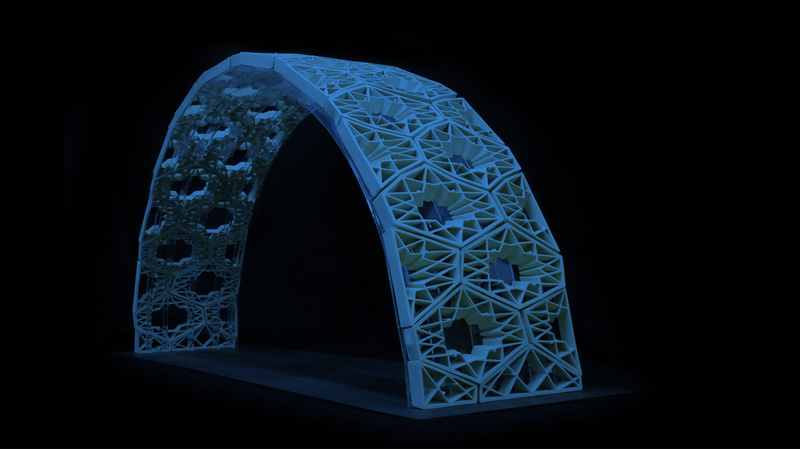 This research is exploring the integration of additive manufacturing technologies and 3D printing in the development of architectural components in ceramic materials. Bruno Figueiredo, Architect and Professor at the School of Architecture of the University of Minho (EAUM) and researcher at the Landscape, Heritage and Territory Laboratory (Lab2PT) and the Advanced Ceramics R&D Lab, wants to optimize the process of additive manufacturing of architectural ceramic components regarding constrains and gains that are introduced the plasticity and the resistance of these ceramic materials. According to the researcher, one of the main problems that this project will have to overcome is related to the shrinkage of the ceramic material. “As we use very pure material it shrinks a lot and when it shrinks some cracks might occur in articulation points of the ceramic surfaces”. He further states that these cracking behaviour not only introduces more formal restrictions on the use of this material for additive manufacturing purposes but also make it less suitable for architectural applications. “There are additives that can improve shrinkage behaviour but they do not prevent the need of a paste with a great fluidity behaviour, it must have 35% of humidity, to be properly extruded”, he says. “At 35% humidity, when this material begins to dry, it tends to retract a lot, which hinders the solidification process of the ceramic”. “Our objective at this point is to get around some of these issues by redefining the extrusion paths or optimizing the process of extrusion for a specific design object and structure and also to the material level through the introduction of additives that maintain the same fluidity can reduce the shrinkage”, he reinforces. Find the article in the webpage of “90 segundos de ciência” in this link.